I see too many people return from a networking event with a pocket full of business cards, but then they just let them sit there or throw them away. Each one of those cards is a possible connection that could help you advance your career, so why wouldn’t you reach out? Even more often—I’ve seen people send a vague, “Nice to meet you; let’s get coffee” message that ends up getting sidelined and almost never acted upon. Wouldn’t you rather have that interaction make you more memorable? 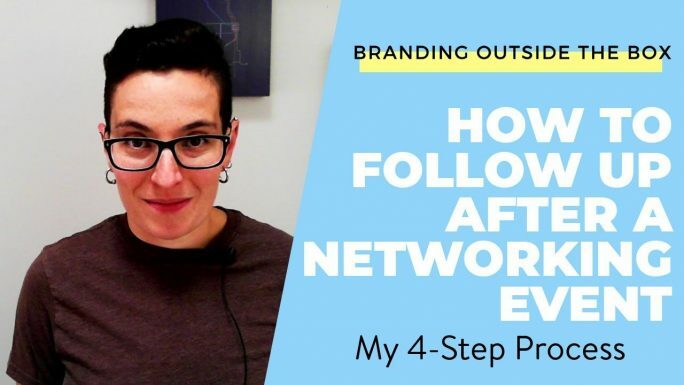 In this video, I’m sharing how to effectively follow up with new contacts after a networking event in a way that lays the foundation for a mutually beneficial professional relationship. After you watch the video, download my free Networking Event Checklist. This will help you be fully prepared to walk into your next networking event with confidence! Jean, thank you so much for bringing this to my attention! WordPress went through a major update and it looks like a bunch of my videos disappeared!